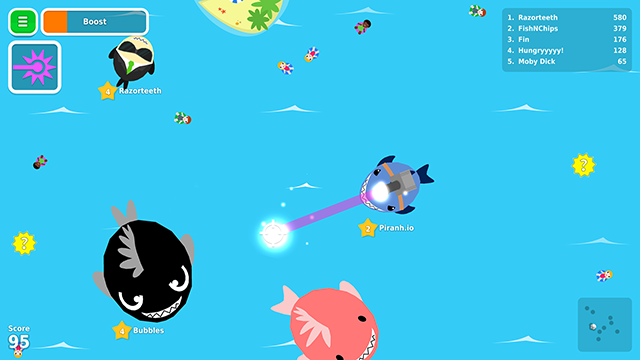 New .io online multiplayer game with sunshine, piranhas and sharks with frickin' laser beams attached to their heads! Piranh.io's development process started in April 2016 when Jyri and Piia noticed the rise in popularity of .io online multiplayer games. The genre seemed really interesting and pretty soon after they had a working prototype. However, they didn't want to just create a Agar.io or Slither.io clone but instead take ideas from both of them, mix them up and throw in a few own ideas as well. The end result is a hectic fish simulator where you eat unsuspecting swimmers to become the biggest fish in the sea. 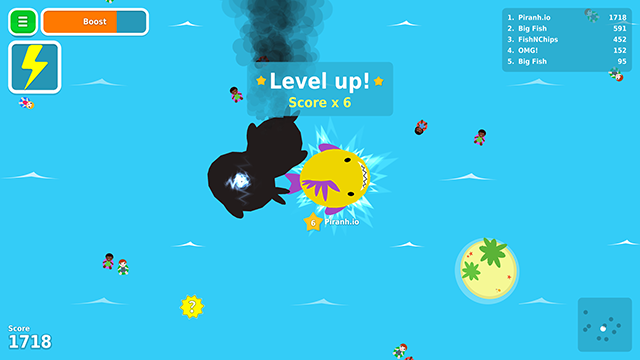 Thanks to various powerups, even the smallest piranha can defeat the biggest shark, keeping the gameplay dynamic and unpredictable. 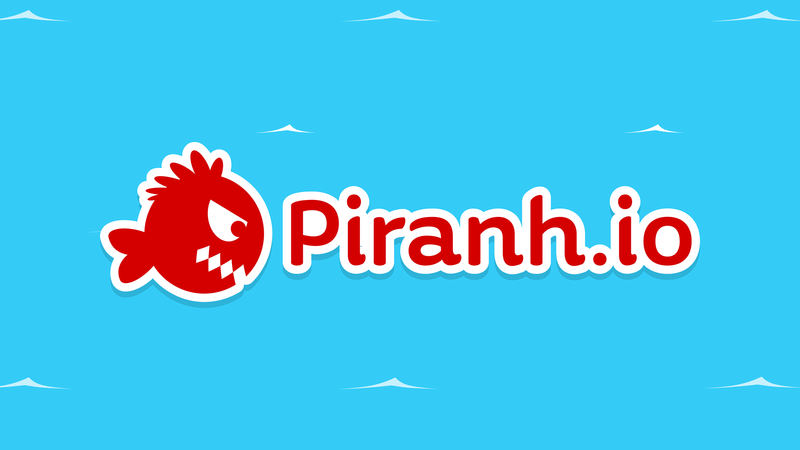 Piranh.io was released on the website in June 2016 and pretty soon after it began to attract the attention of Youtubers such as Farod, Bodil40, Godenot and ArcadeGo.com. Piranh.io videos have been watched over 2 million times and new videos are released every day. Thanks to this, the web version attracts over 15.000 daily players. On October 6th, Piranh.io's mobile version will be launched on App Store and Google Play. 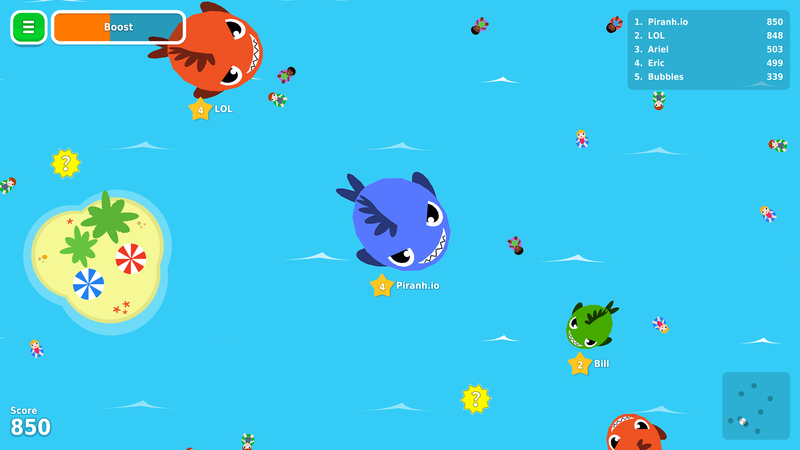 There are currently no trailers available for Piranh.io. Check back later for more or contact us for specific requests! "Thanks to the game's array of power-ups, you needn't be the best of the bunch to take down the number one player – you just need to be smart." " It’s got bright colors, doesn’t make your monitor ooze blood and gore, and I’m sure you’re going to play it with a smile on your face!" 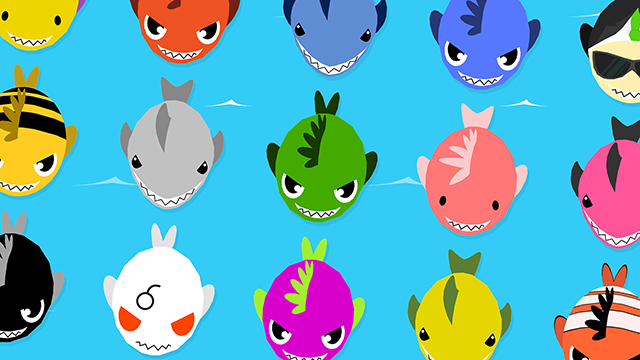 "Piranh.io выйдет на Android и iOS на этой неделе"
Youtubers LOVE to make videos of Piranh.io! Check out the most popular videos at youtube.com.